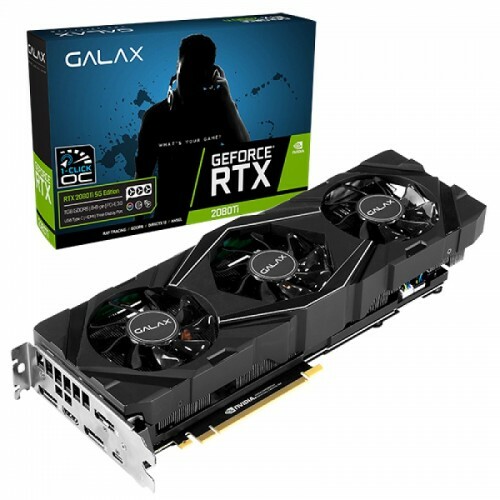 GALAX GeForce® RTX 2080Ti SG (1-Click OC) 11GB GDDR6 352-bit DP*3/HDMI/USB Type-C Graphics Card. 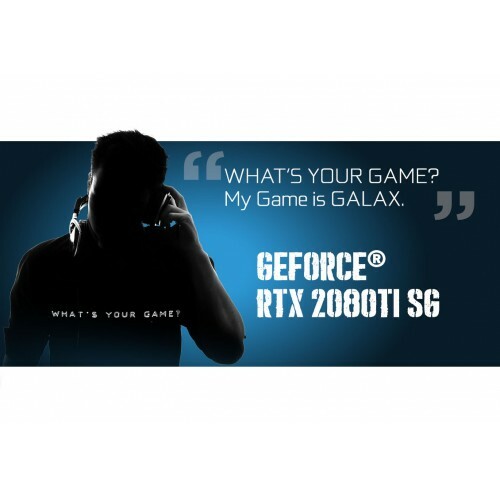 SG” for "Serious Gaming”, dedicated for gamers who are looking for powerful and stable performance. 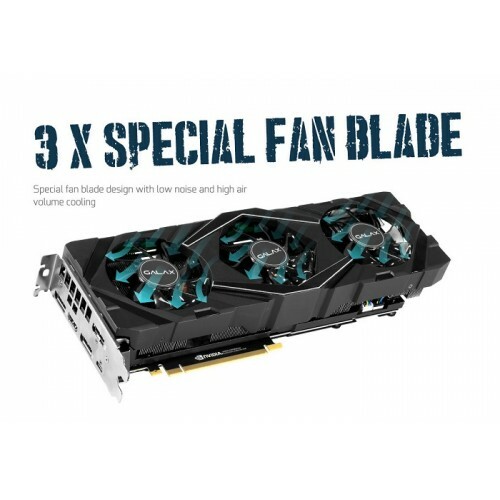 Specially designed with 6 heat pipes to connect the radiator fin and GPU, working along with the GALAX-engineered Triple 80mm fans, making the thermal systems light and effective. 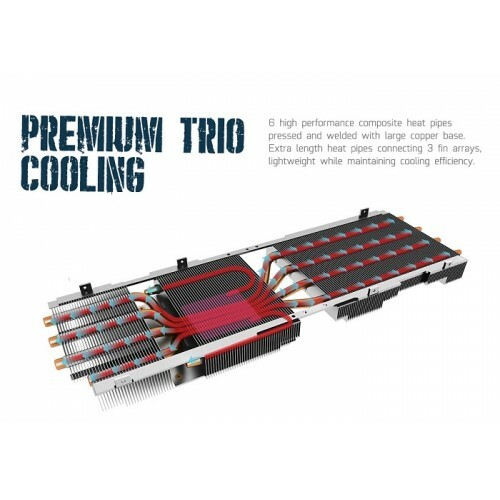 Tailor-made with die-cast aluminum front-plate and stamped aluminum backplate, contribute to the heat dissipation by covering both sides of the PCB, protecting it from bending at the same time. 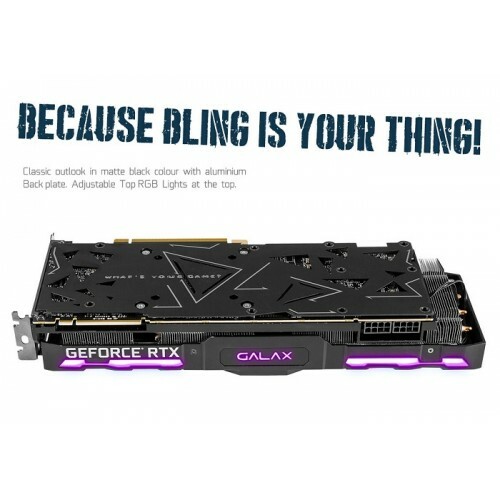 In addition, GALAX GeForce® RTX 2080 Ti SG (1-click OC）offers high-valued appearance with its all black design and the top RGB light.